It’s never fun to watch a loved one die. Is it okay when we know there’s a stronger, more-powerful and more-beloved version of them waiting in the wings for their chance to (re)shine? Welcome to Deathwatch, an limited series that will cover the likely impending death of the current main Superman, known as 52!Superman for the purposes of this article. Released on April 6th was the first part of Super League, the eight-part series written by Peter J. Tomasi that wraps up the Superman-related books before DC Rebirth. 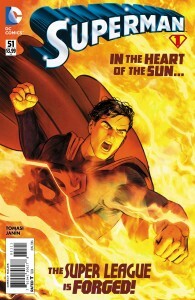 52!Superman has just come off the tail of fighting Vandal Savage. Talking Puzzler into saving humanity from a world-destroying comet and conqueror, they destroyed the source of Vandal Savage’s immortality, blasting him off to parts unknown-but-probably-not-Earth. No genie was put back in the bottle at the end of the last issue, as Clark Kent leaves a diner with the intent to save the day, revealing that this is more of a job for Superman without running to a phone booth. Everything 52!Superman has gone through in the pages of Action Comics/Superman/Justice League/Justice League of America has apparently come to a head; Superman reveals (to Krypto, giving the reader a reason for him to be speaking aloud when in the Fortress of Solitude) has somehow irreparably caused his body to decay. He’s been tossed into the fire pits of Apokolips, taken a Kryptonite bath, and “died” at the hands of Rao. All three storylines, while running parallel on shelves, have clearly happened to one－our main version of－Superman, back-to-back. Sorry, but I sorta called it. 52!Superman will die. 52!Superman is, obviously, dismayed by this, but in the perfect Superman way－he’s angry at all the people he won’t be able to save, not that he won’t be there to enjoy life with them. It’s an aspect that Tomasi nails immediately for Superman, no matter the version, and paints the writer as one of the unsung greats of the modern age. Immediately following this ever-appropriate mindset, Tomasi tosses another brilliant concept into the mythos that resonates as “why wasn’t this done years ago” as much as Crisis!Superman’s Fortress set on the border of Ecuador and Peru, connecting the hero to life and vibrancy (instead of dwelling in the cold and death of the arctic). He’s crafted a statue of Jonathan and Martha Kent alongside Jor-El and Lara, lifting a globe of Earth. Meanwhile in China, Dr. Omen (a character I’m struggling to find out if she exists beforehand or not) is searching ways to exploit weaknesses/breaches in the Fortress thanks to recent incidents caused by Vandal Savage. Bury him next to Martha and Jonathan. Returning to the Dr. Omen subplot reveals a form, floating in a tube supported by cables, which is usually sci-fi shorthand for “genetically modified organism and/or healing Luke Skywalker.” Presumably from this tube comes the comet that crashes down in Minnesota on the truck of a criminal. When people go to check on the criminal crawling out of it, he pulls out a Dragonball Z, charges up, and reveals himself to be “Superman,” destroying his clothes (and hair? ), with an “S” forming on his chest. For the purposes of this, I’m just going to call him Bad!Superman, because he’s clearly bad. I never said I was good at naming things. I want you to tell the world about the life of Clark Kent and Superman. 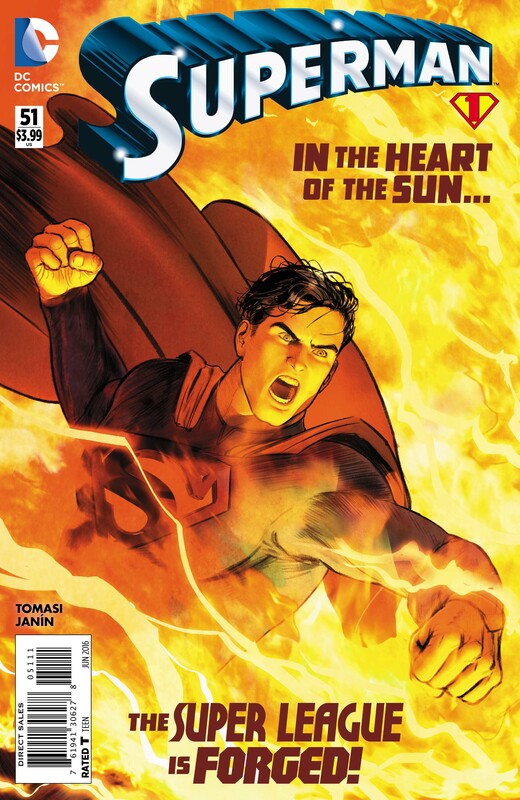 It’s a great issue that takes a (deep) breath from the constant running and fighting coming from the Vandal Savage storyline featured in Superman, and it sets up the Super League story perfectly. You have a Superman who actually has a reason to set up the world without him. Tomasi’s got a clear grasp of the Superman character as a whole, even if his Superman might be a little more “pure” than the one we’ve had for a few years－the one that’s been impetuous, quicker to anger, less inspiring, and full of youthful vigor and fun. Mikel Janín handles the art exquisitely, even opening up to including his wife and children in the two page-spread that just shows a casual day of world-saving for a Superman. His art frequently reminds one of Guillem March, one of the more dynamic voices DC’s tapped over the years, and his colors really shine on the stark brightness of the Fortress at the beginning, the Kryptonite bath scene above, and the dusk-set pages in Smallville. His return in the final issue of the story (and the final issue of Superman) is much-anticipated, especially on the prediction that it’ll pair well with this as bookends. 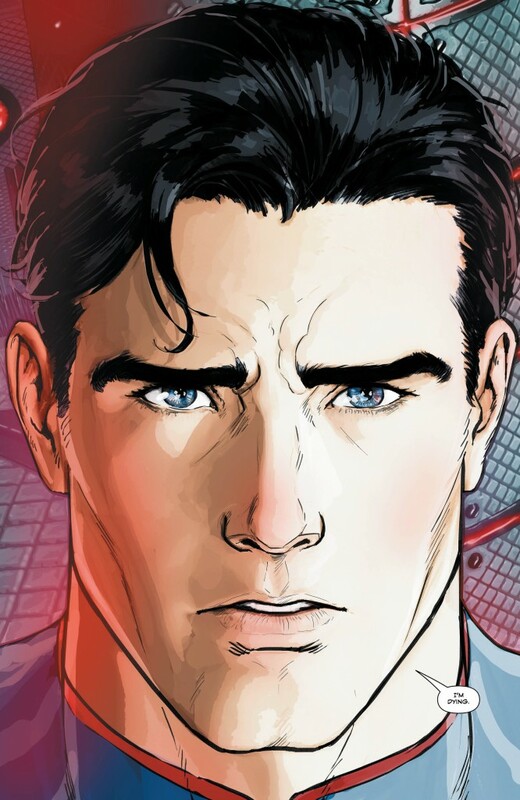 The Bad!Superman will be defeated, and his powers will return to China, heading to the New Super-Man, Kenji Kongo. 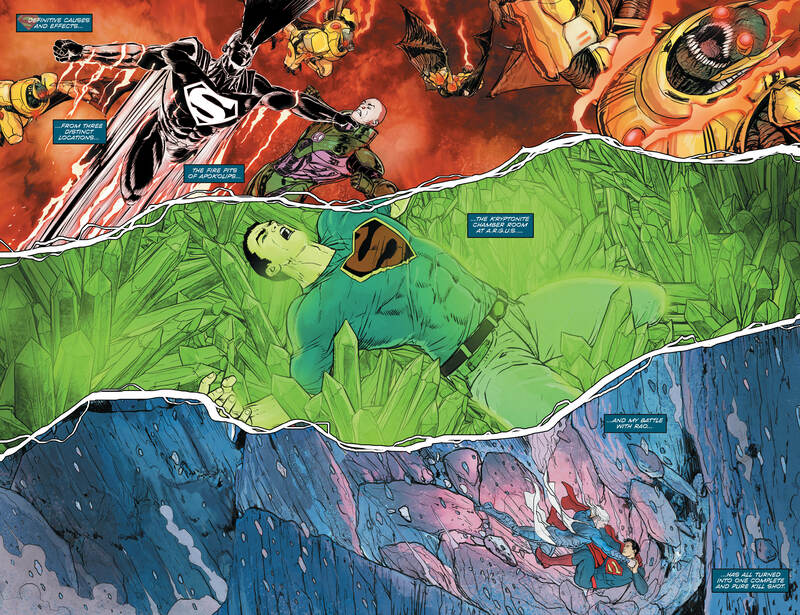 When all is said and done, Crisis!Superman will “inherit” the current Fortress of Solitude. Someone will build a statue to 52!Superman, with one hand holding up Krypton with his birth parents, one hand holding up Earth with his adoptive parents. 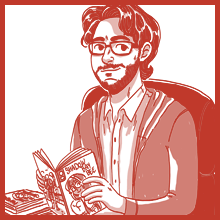 The Life of Clark Kent and Superman will become a best-seller, but either hide the truth that they are one and the same, or be presented as fiction, putting his secret identity in question, but letting the world generally believe they are two separate individuals.